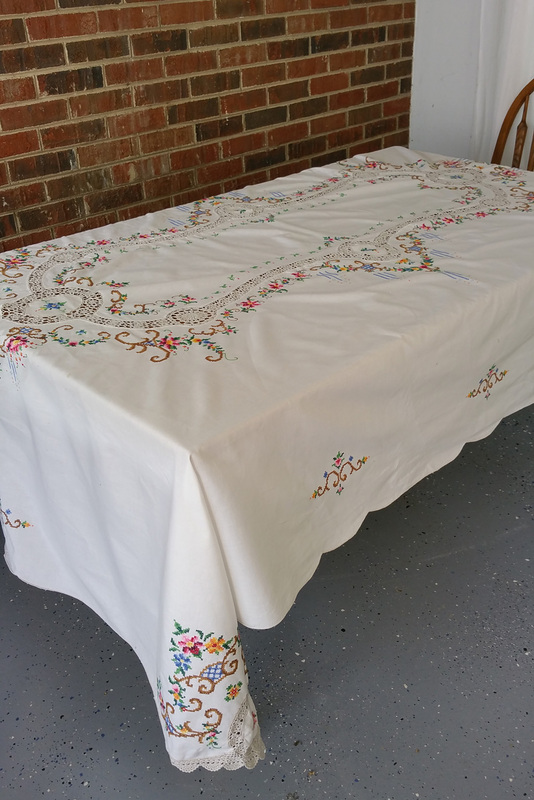 This larger tablecloth features hand cross stitched floral panels on an ivory cotton background. 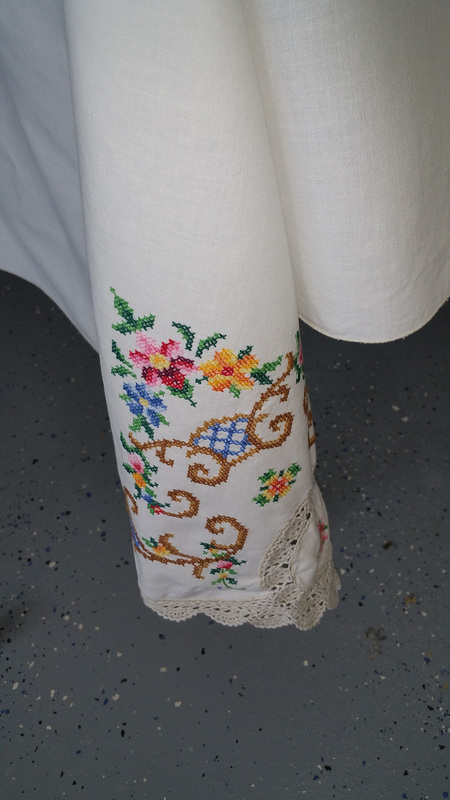 It's pretty fanciful with inlaid ivory lace details. Not old, but nicely made and acquired at an auction. 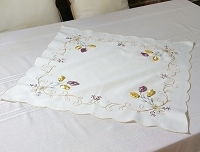 Perfect for setting a spring time table for any celebration. 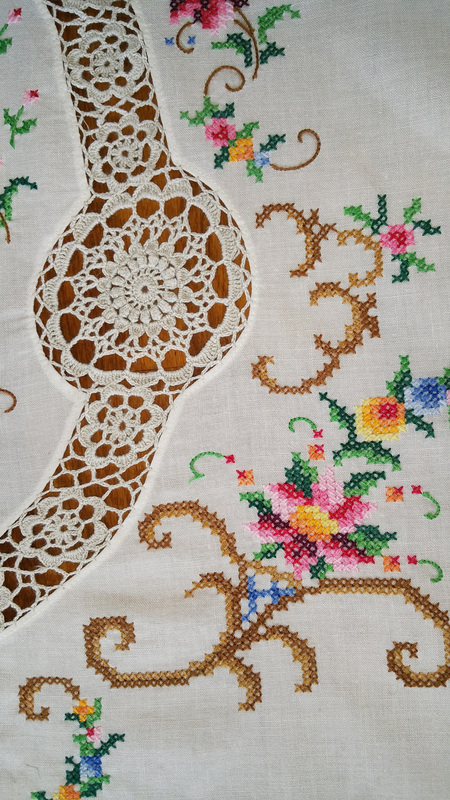 Measures 64 x 96.